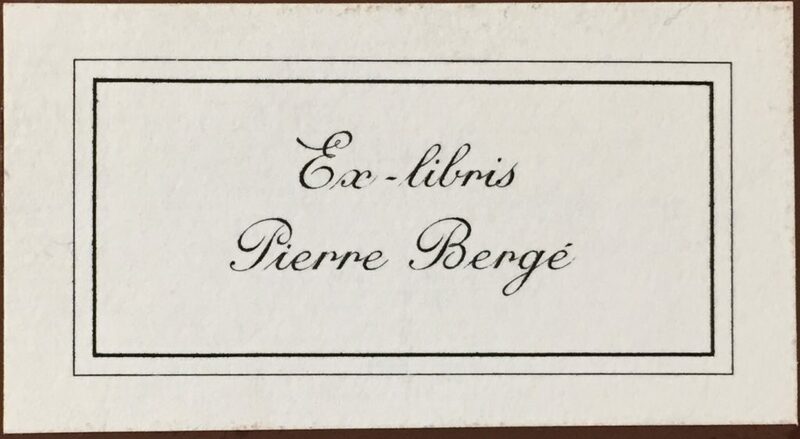 The Loeb Music Library has just acquired three items previously owned by the French industrialist, arts patron and AIDS activist Pierre Bergé (1930-2017). A co-founder of the fashion house Yves Saint Laurent, Bergé cultivated a “jardin secret” all his life, accumulating important rare books and scores as well as Impressionist paintings, Old Master drawings and decorative ceramics. 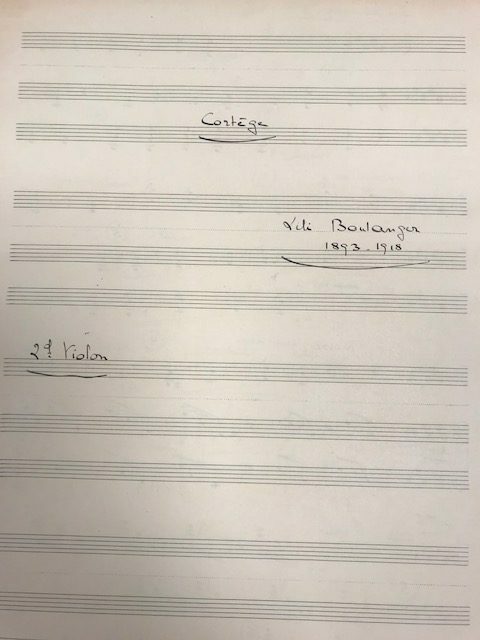 There is a very rare first issue of the first edition of Mozart’s six Opus 3 trio sonatas, published in 1764. 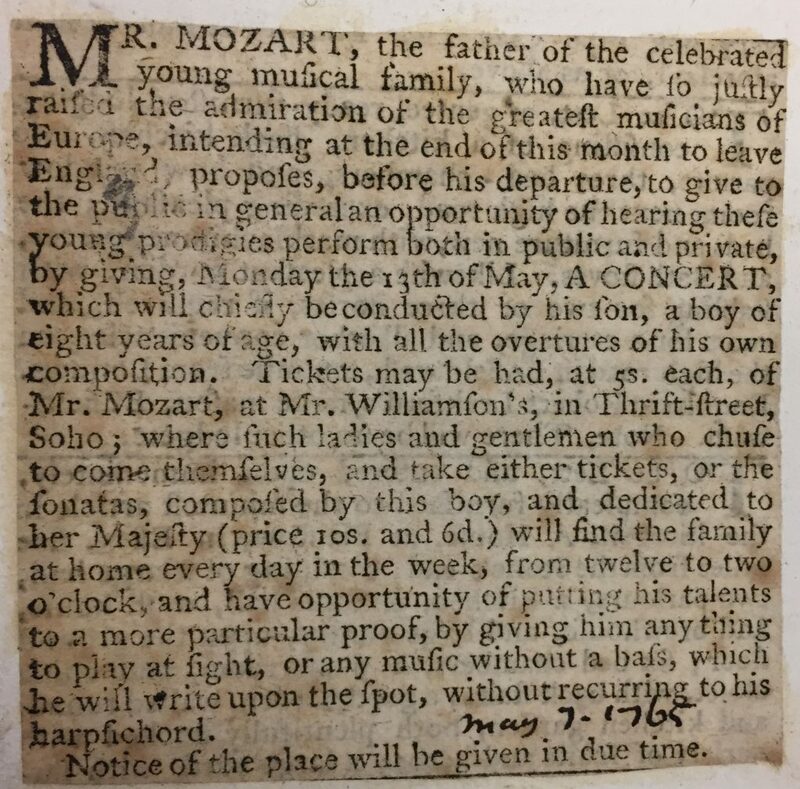 These were “Printed for the author and sold at his lodgings,” the house in Soho where eight-year-old Wolfgang Mozart, his sister Nannerl and their father Leopold resided during the London period of their European tour. 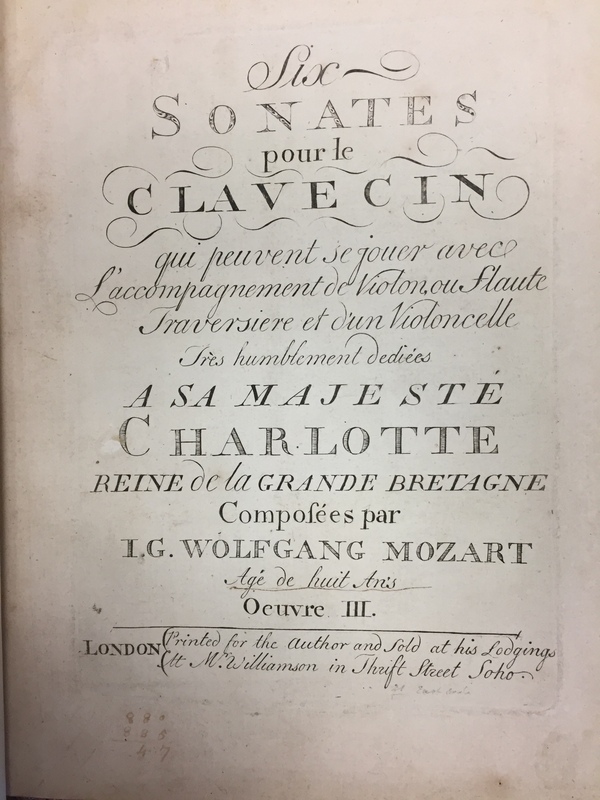 Bound in are several items accumulated by owners prior to Bergé, including a note detailing the purchase history by the original owner, Thomas Jones (“It was of the little musician himself I purchased this book”), several newspaper items, and a portrait of the Mozart family. 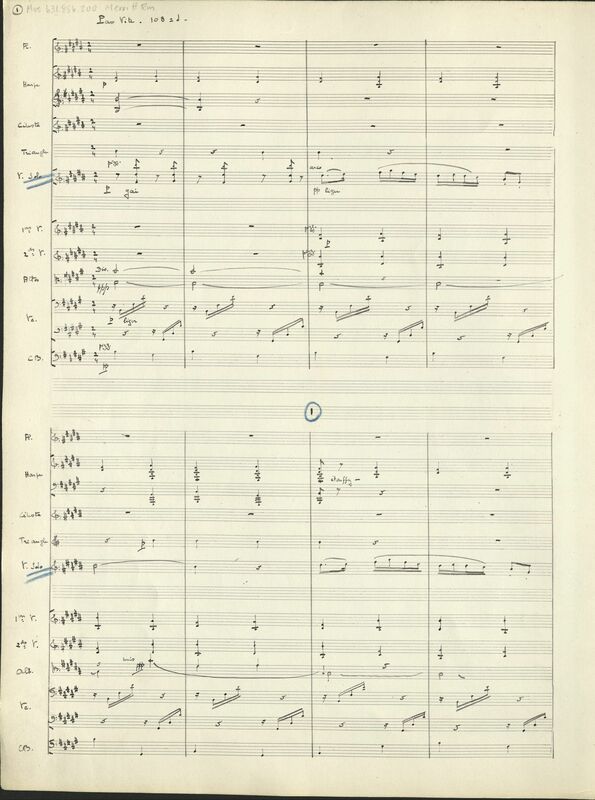 This item was acquired by the Schafer Mozart Book Fund. 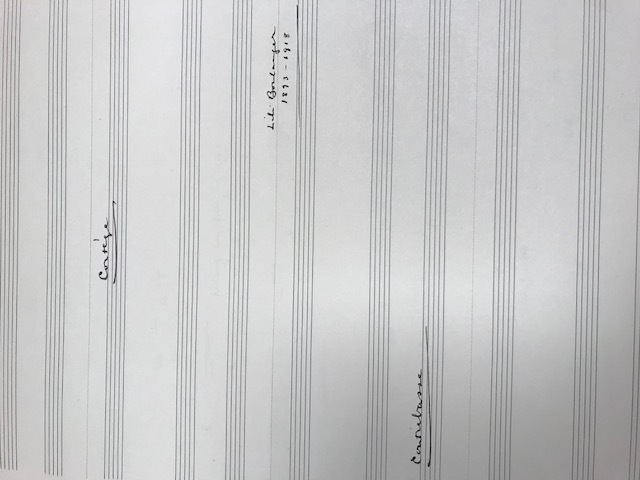 Images of the entire score will soon be available online. 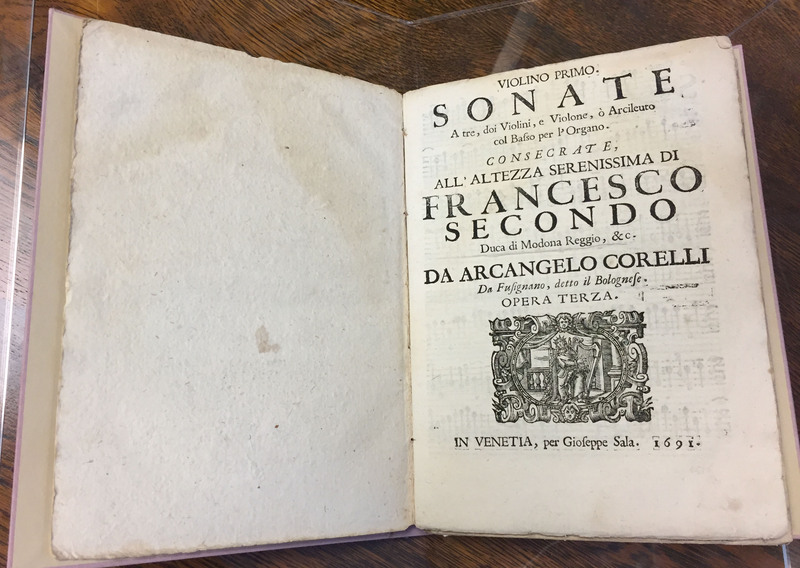 And there are two collections of early trio sonatas by Arcangelo Corelli, printed in Bologna in 1688 and in Venice in 1691. 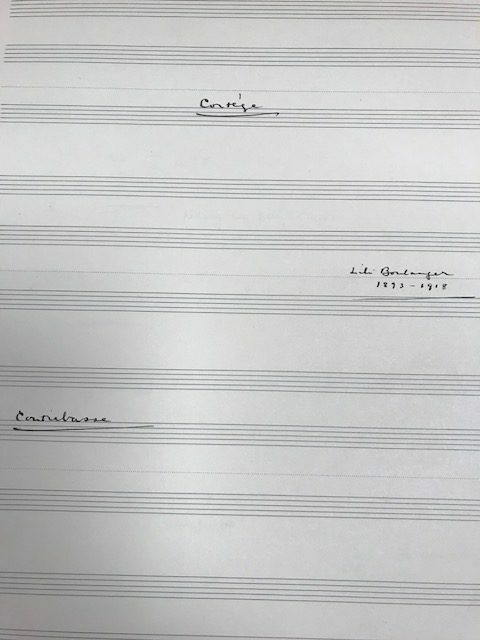 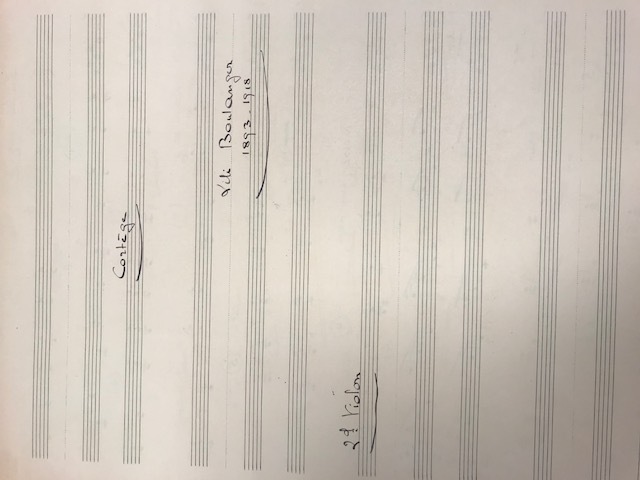 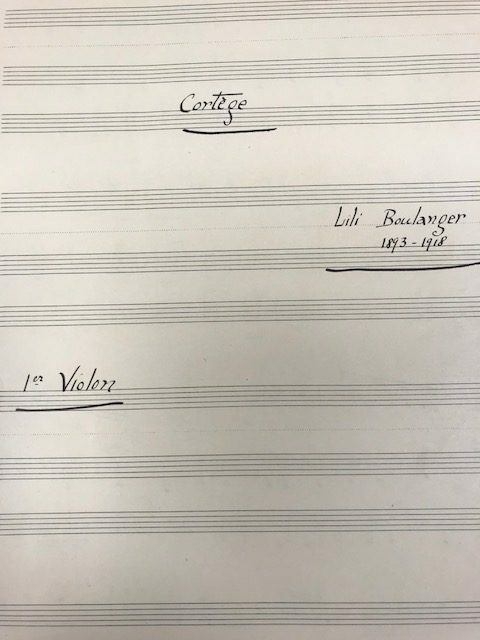 Like the rest of Pierre Bergé’s library, all three of these scores are exquisitely housed. The Mozart sonatas were bound in rich green morocco leather with gilt edges by the Victorian bookbinding company Blunson & Company, of whose work Harvard Library possesses two other equally magnificent examples. 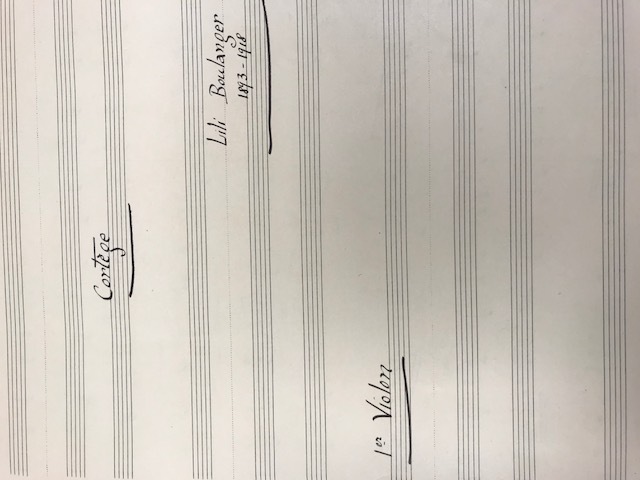 The Corelli scores were recently given pale lilac portfolios which slide into matching slipcases, an enclosure designed by Atelier de Libraire, a family firm in Paris. And all three of these items contain Bergé’s simple, elegant bookplate. 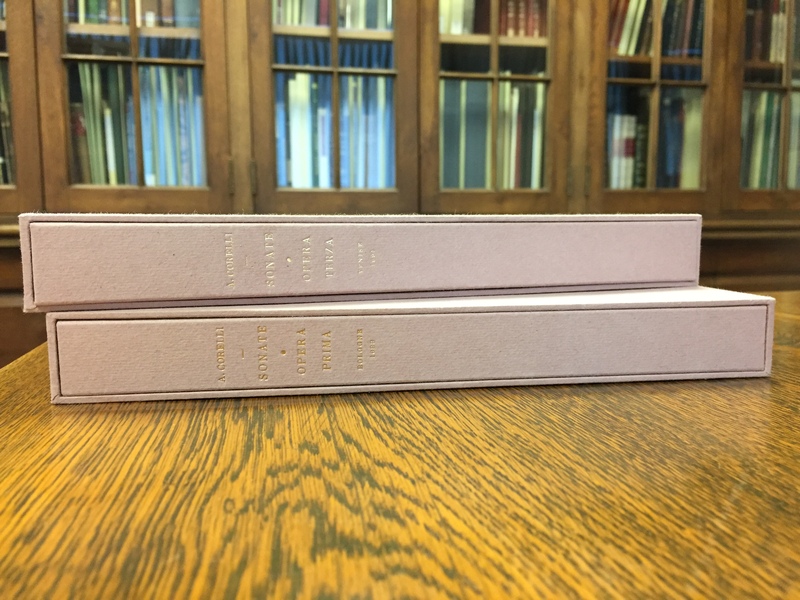 Merritt Room collections are available for use on site by anyone with a Special Collections Request Account. 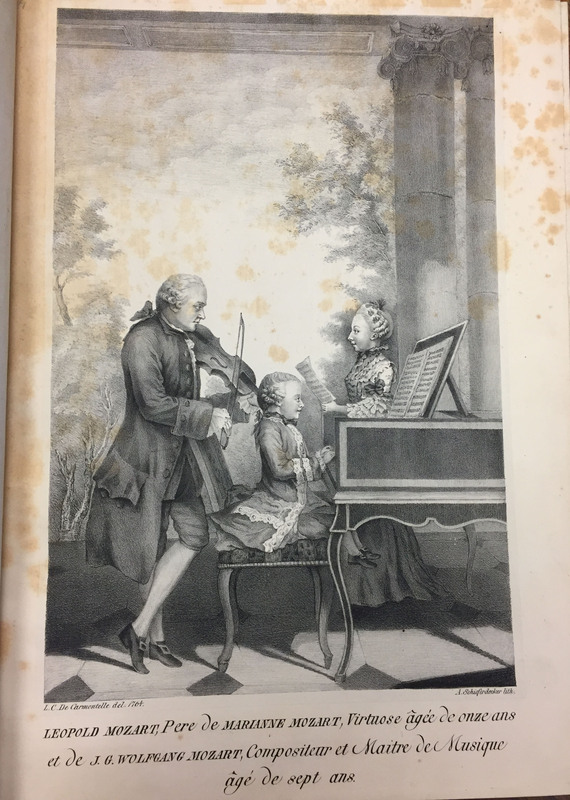 Please place your request by clicking View Onsite in HOLLIS, then wait to hear from Isham Memorial Library staff before planning your visit.